Travelling abroad can be stressful at times; navigating your way through airport terminals with countless bags, pushing your little one in their buggy while trying to keep them happy. The Mountain Buggy Bag Rider offers a stress-free solution to travel, doubling as a carry-on suitcase and a travel seat for your child. 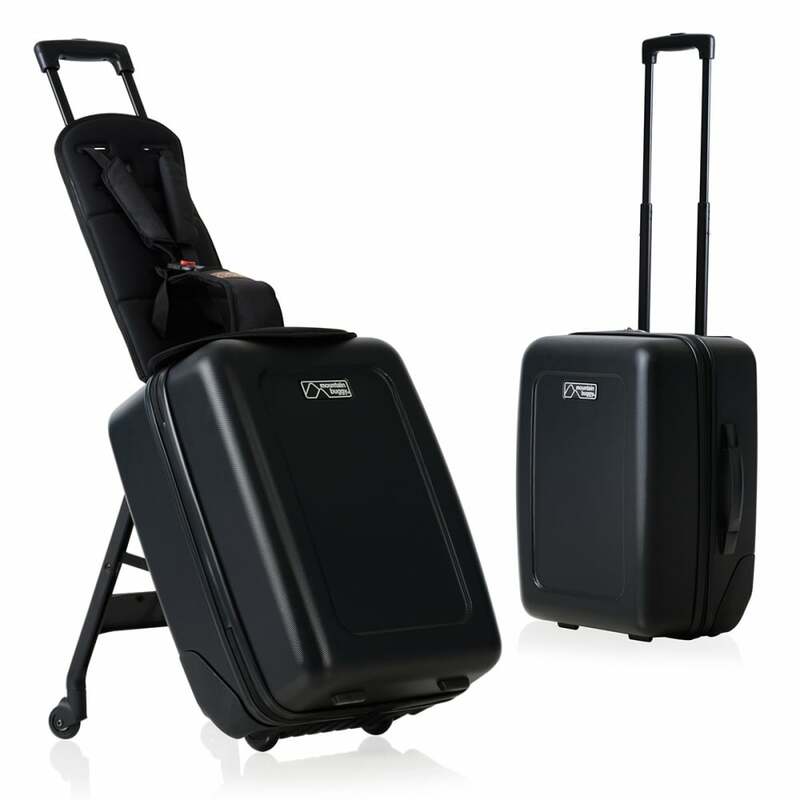 With the simple switch of a dial and the attachment of a cushioned seat, the Bagrider allows you to safely strap your little one in atop your suitcase, while retaining its 35-litre storage capacity. If you're an adventurous family looking to explore the world with minimal hassle, the Mountain Buggy Bag Rider is your ideal travel companion. Why should I choose the Mountain Buggy BagRider? The Mountain Buggy Bagrider comprises ingenious design features to help you travel with your little one stress-free. At first, the Bagrider looks to be a stylish carry-on suitcase however, with the easy twist of a dial, it doubles up as a travel seat – allowing you to transport baby without losing out on the 35 litres of luggage capacity. You can be sure your child will travel in comfort and style as the Mountain Buggy Bagrider comes with an attachable, comfortable seat cushion. The fold-out leg design ensures that the Bagrider remains sturdy and safe when in travel mode, as well as providing a padded 5-point harness so that your little one can be strapped in safely as you travel around. The cushioned seat attachment also features a handy, elasticated mesh pocket at the back, perfect for easy-access to your smaller storage items. As well as having a 35-litre capacity, the interior of the Bagrider suitcase also has a zip-up dividing panel and elasticated straps for more organised packing. The Mountain Buggy Bagrider doesn't compromise practicality and safety for convenience, it's easy to operate whether in suitcase or travel mode. Four swivel wheels ensure that there's no loss of manoeuvrability, even when you’ve got baby on board! You can also be sure that your child will be safe on your travels, as the Bagrider has been rigorously tested to make sure its nylon plastic frame is both durable and lightweight. What are the specifications of the Mountain Buggy BagRider? Do I get a warranty with the Mountain Buggy BagRider? Yes. Mountain Buggy Bagrider is globally safety certified and comes with a 1-year warranty (UK mainland only). Where can I read a review of the Mountain Buggy BagRider? 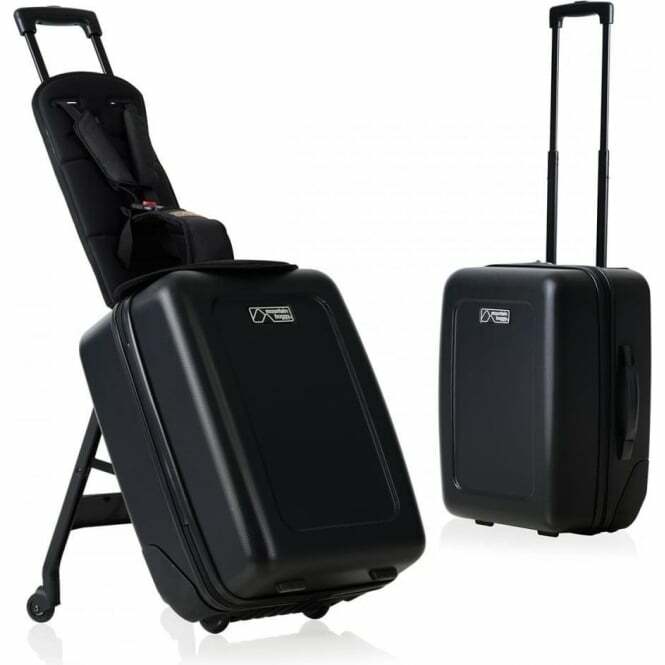 Your Review - Haven't used this yet but easy to set up and manoeuvre, negative because of the wheels you lose a lot of the internal luggage space.